I love the open source community. 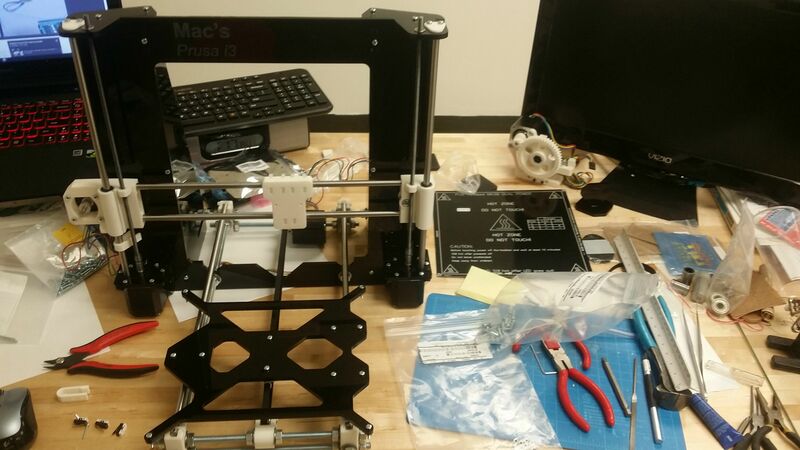 For the past month I've been working on and off on a 3D printer. 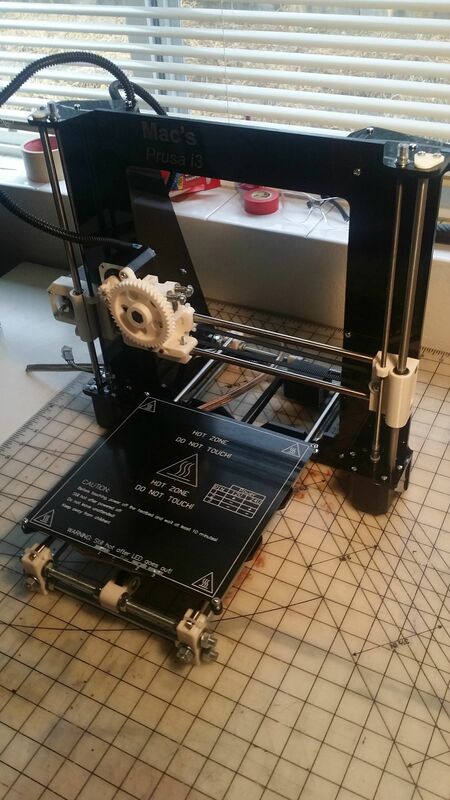 Using designs based off of the RepRap Prusa i3 that were tweaked and improved by TwelvePro, with no prior CNC experience I've been able to construct a very polished looking machine. 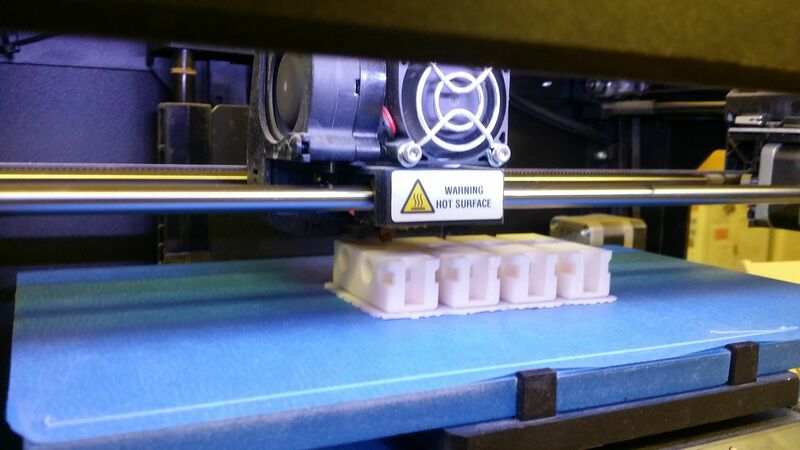 I've self sourced every part of the printer, starting with raw materials whenever possible save the electronics. 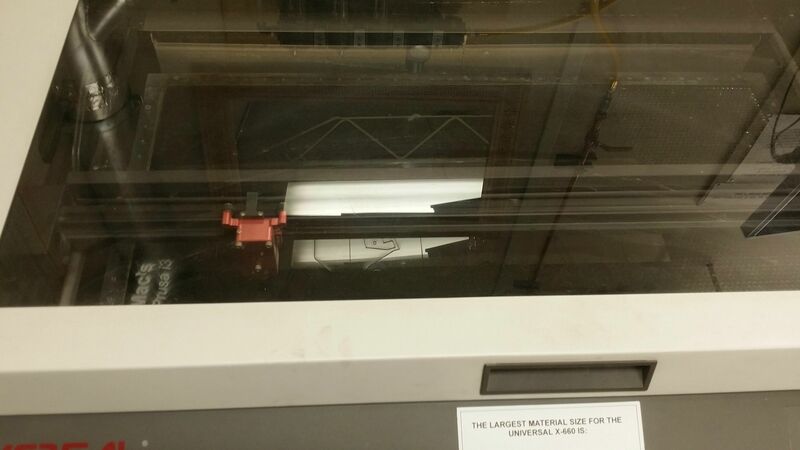 Using a Makerbot Replicator at my university to print a few parts. 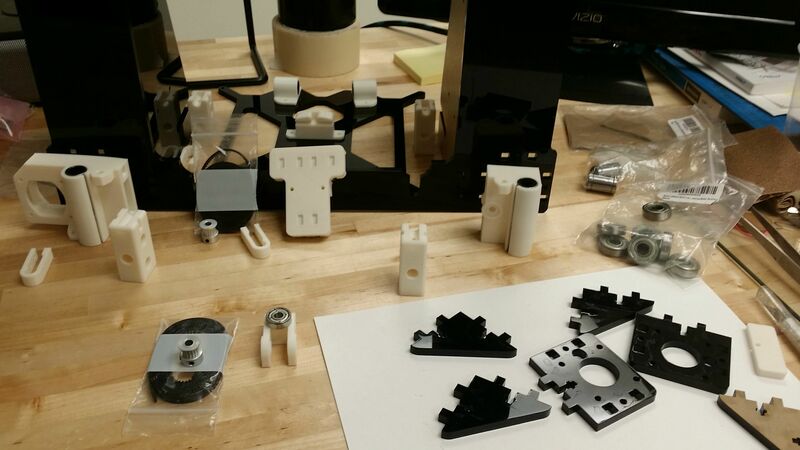 Most of the printed parts as well as the cut parts. 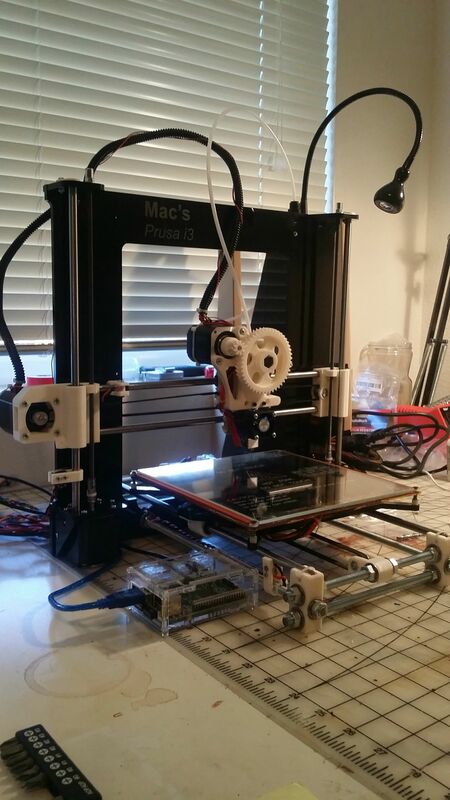 The y-axis with print bed carriage. 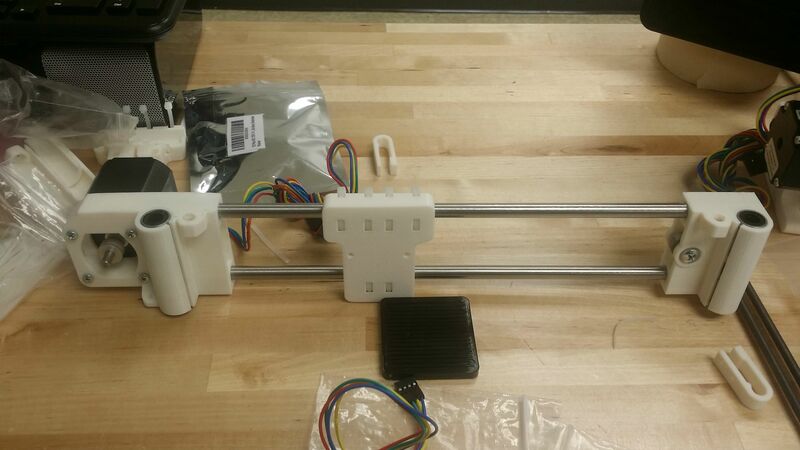 The x-axis with extruder carriage. 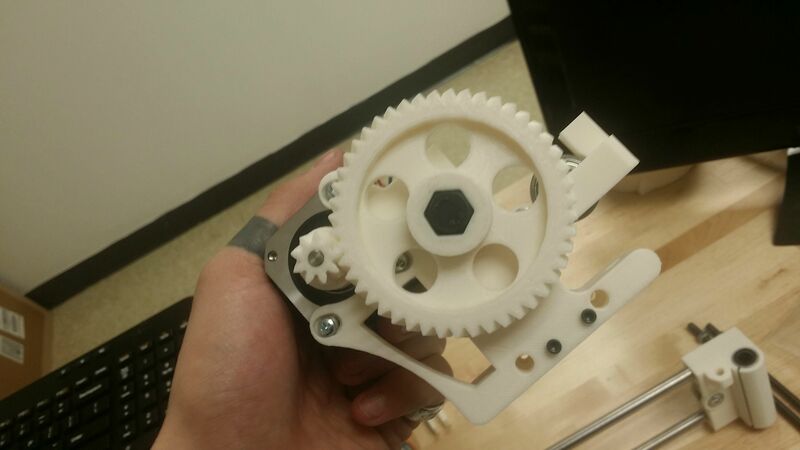 The extruder, fitting together nicely. 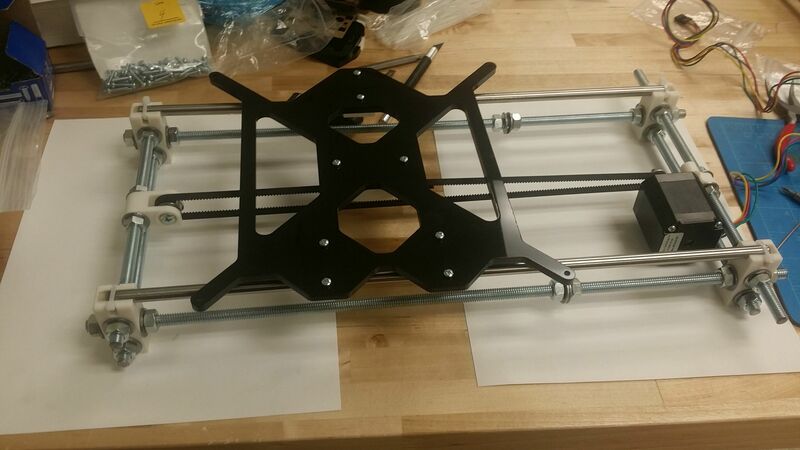 Frame assembled, ready for electronics installation. Beginning to install the electronics in a new workspace. 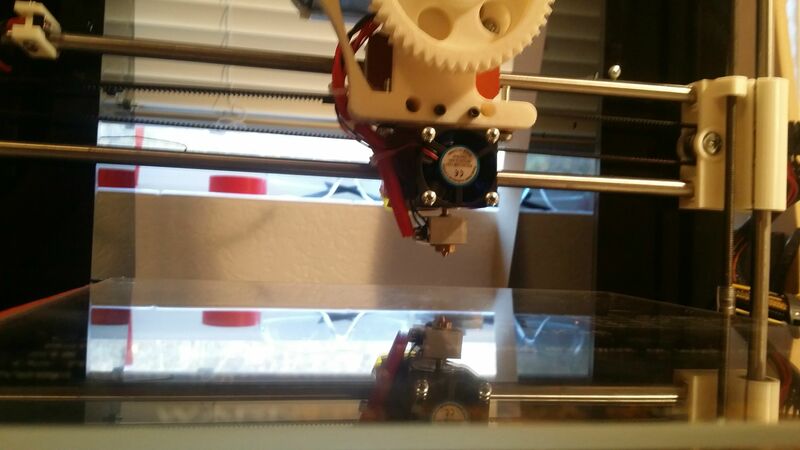 The E3Dv6 hotend, freshly installed. 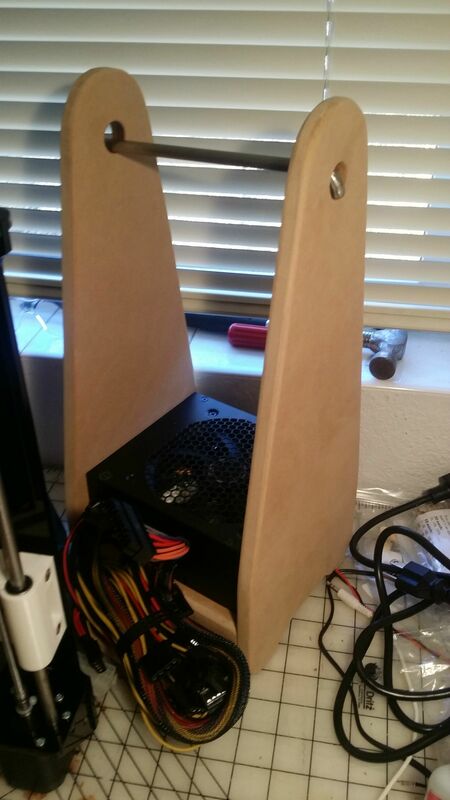 An easy MDF spool and ATX PSU caddy. Mostly wired, added a light. 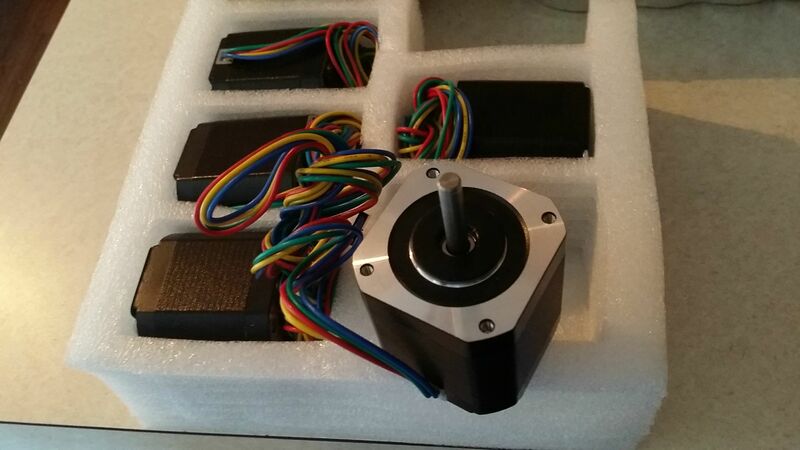 All I'm missing now is the control board, and is only missing because the first one I was sent was faulty. From there on it's all calibration and troubleshooting. And then, plastic everything.